Minister for Defence Christopher Pyne and Defence Industry Minister Linda Reynolds have officially announced the arrival of Australia’s next two F-35A fighter aircraft. Minister Pyne, together with Minister Reynolds announced the arrival of the next two F-35A Joint Strike Fighter aircraft into Australia. "I’m pleased to welcome our newest F-35As, A35-011 and A35-012, bringing the total number of aircraft in Australia to four," Minister Pyne said. "After completing various validation and verification activities in the United States, these aircraft have now arrived at RAAF Base Williamtown and will be assigned to Number 3 Squadron." Minister Reynolds said the F-35A program has provided significant opportunities for Australian industry: "More than 50 Australian companies have directly shared in over $1.3 billion in global F-35A production contracts to date, employing more than 2,400 Australians." "More opportunities are expected for Australian companies as production continues, with Australian industry involvement expected to exceed $2 billion by 2023 and employ 5,000 people nationally," Minister Reynolds added. 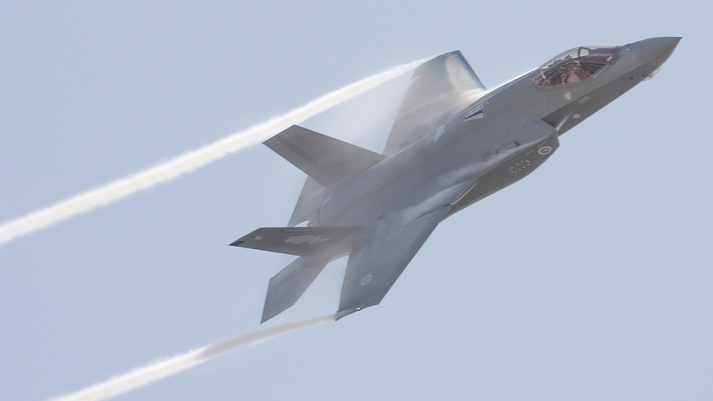 For the RAAF, the F-35A's combination of full-spectrum, low-observable stealth coatings and materials, advanced radar-dispersing shaping, network-centric sensor and communications suites – combined with a lethal strike capability – means the aircraft will be the ultimate force multiplying, air-combat platform. Australia will take delivery of eight F-35A aircraft in 2019 and, over the coming years, Australia will purchase 72 of the advanced fifth-generation fighter aircraft as part of the $17 billion AIR 6000 Phase 2A/B program – which is aimed at replacing the ageing F/A-18A/B Classic Hornets that have been in service with the RAAF since 1985.